Imagine, for a moment, that you are a young, single woman living alone. On your way home from work, you spot a strange man walking around in your neighborhood. He’s not exactly doing anything wrong at the moment, but something about him just seems off. You’re glad to be passing him in the car rather than walking by him on the sidewalk. You make the final turn onto your street, park the car, and go inside. About half an hour later, your eye is drawn to movement outside your front window. You look through the blinds, and there he is–the same man you passed on the street earlier. He’s only walking down the sidewalk, albeit slowly, and doesn’t seem to be paying any particular attention to your house. Still, you can’t help but feel vulnerable. As your mind runs through a hundred “what ifs,” you take great comfort in knowing you have a loaded 9mm semi-automatic pistol in the bedroom. Better get it out, just to be safe. In a country with 55 million gun owners, scenarios like the one described above play out a hundred times a day: someone who owns a firearm for self-defense is presented with a good reason to retrieve that firearm only to realize that they don’t remember how to operate it properly. Or even worse, they think they know how it works, but remember incorrectly. Some of these situations result in the successful use of the firearm in defense of life. Others lead to accidents resulting in death, serious injury, or legal trouble. The scenario with the young woman was made up, but it was inspired by a true story relayed to me by Justin Carroll, a regular contributor to Lucky Gunner Lounge. A few months ago, he received a text message from a friend with a picture of her Sig P938, asking whether the safety was on. There was a “sketchy guy” in her neighborhood she was concerned about. 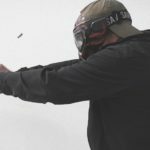 In his personal blog Revolver Guy, Justin uses this story to support the idea that non-dedicated shooters may be better off with a revolver. From the user’s standpoint, revolvers are less complicated than semi-autos, and it’s easier to remember how to operate them. I’m inclined to agree with Justin on that point, but there’s another aspect to the story I want to draw attention to. Shooters who consider themselves experienced and well-informed typically scoff at this kind of ignorance among less dedicated gun owners. “How could she be so negligent? She isn’t taking this seriously! She needs training!” But here’s the catch: Justin’s friend had received training. She has her concealed carry permit and she had attended at least two additional day-long shooting classes. Yet she was still not familiar enough with her gun to know how to use it in case of a life-threatening violent attack. Again, this is not a unique situation. I’ve personally encountered many gun owners with previous “training” who are no better equipped to use their firearm to defend their own life than someone who has never held a gun before. Is it possible that “you need training” isn’t the easy, fix-all answer we want it to be? I’d like to offer a few reasons why defensive firearms training often fails to instill the level of preparedness we would like to think it does. Training is only effective if people actually take it. According to Karl Rehn’s research, only about 1% of gun owners ever receive any formal training beyond what is required by law in order to receive a carry permit or hunting license. Karl offers a number of compelling hypotheses for why people do and do not pursue training. Anecdotally, however, the reasons I most often hear in opposition to training are that it’s too expensive or it takes too much time. Of course, a distinction has to be made between “I don’t have the time/money to train” and “I don’t think training is worth the time/money.” The former argument is often merely an excuse when someone is unwilling to admit the latter. I witnessed a perfect demonstration of this phenomenon last Fall with a couple of articles we published. The first was about the importance of self-defense training. Much of the feedback we received was about the prohibitive cost of training. So I followed it up a few weeks later with some tips for training on a budget. That article (and the accompanying video on our YouTube channel) is one of the least viewed on our blog from the last year. I don’t say that to complain about our web traffic, but I think it reveals something about where people’s priorities lie. If shooting is your hobby and you can afford a safe full of pistols and rifles, then you can almost certainly afford a few hundred bucks for a defensive handgun class. The problem among this group isn’t so much a lack of time or money, it’s a lack of motivation. They may look at someone like the woman at the beginning of this article and think “At least I’m familiar with how my guns work. What more do I really need to know?” Well, a great deal, really, but such is the curse of the Dunning-Kruger effect: you don’t know what you don’t know. But for many, the problem is not motivation. Their roadblock to quality training truly does come down to a lack of resources. A couple of years ago, veteran firearms instructor Greg Ellifritz shared a compelling story on his blog about a young single mother of two he met completely by chance at the local public shooting range. She had good reason to believe someone may try to break into her home within the next few days, so she bought a cheap 9mm pistol and a box of ammo and went to the range to try to figure out how to use it. This woman was determined to do whatever she could to protect her family, but a $400 weekend-long class was probably well out of her reach, and not particularly helpful for an attack that might come tonight (in addition to taking too much time, another common challenge is that the available training options are often not timely). She was fortunate enough to run into Greg while waiting in line, and he generously offered to coach her for the next hour, free of charge. Most other folks in similar situations will not stumble into such an opportunity. I don’t have an easy answer for this, but I do wish there was a way to connect motivated students who have an imminent need for defensive firearms training with qualified instructors who would be willing to help them. This one should be obvious. Imagine going through driver’s education as a teenager, getting your license, and then, after waiting ten years before you get behind the wheel again, the first thing you see is a drunk driver veering into your lane at 60 mph. That is the experience of many gun owners who suddenly find themselves in a violent encounter years after taking their one and only training course (or maybe it was a one on one coaching session with Uncle Tex from the Special Forces). Shooting is considered a “perishable skill.” That essentially means if you don’t use it, you lose it. 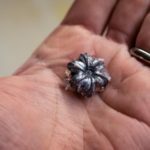 The degree to which your shooting skill degrades over time is dependent on factors like the quality and duration of your initial training, how often you practice following that training, your natural mechanical aptitude, and as mentioned earlier, the mechanical complexity of the firearm you’re using. Introduce the stress of a violent attack into the equation, and recency of practice becomes an even more important shield against skill degradation. Successful armed resistance in a civilian context does not typically involve difficult feats of marksmanship, but it does often require a smooth drawstroke with a gun that is ready to be fired (meaning the gun has to be functional, loaded with a round chambered, and when applicable, the safety disengaged). This may sound like a pretty low bar for competency, but many gun owners could not accurately tell you the status of the gun they carry or keep for defense of the home, nor do they know for certain how to check. Whether or not they have had training in the past, without regular practice (which could be as simple as handling the gun and going through a few minutes of dry practice), people forget. That point seems difficult for some to believe, so try substituting “gun” with something else you’re less passionate about. For example, I own a chainsaw. It’s a dangerous tool that can have deadly consequences if handled improperly. I’ve taken it upon myself to learn how to use it safely and effectively in the context of my back yard… which really just means I spent a couple of hours reading articles and watching YouTube videos about chainsaw use. I like my chainsaw. It’s useful, and I think it’s pretty cool. I even occasionally look for an excuse to use it when the weather is nice on a Saturday afternoon. But that is the full extent of my relationship with the chainsaw. I am not interested in joining a “chainsaw community” or living the “lumberjack lifestyle.” It’s not a part of my personal identity and I don’t intend to dedicate any of more of my free time than is absolutely necessary to hone my chainsaw skills. Most defensive firearms training courses are designed with the assumption that the student is already motivated to continue to practice and train after they leave the class because the student is a shooting enthusiast. The class is intended to show you as many new techniques and skills as possible so you can go home and work on them. That’s perfectly acceptable when your students are all dedicated shooters already. Not so much when they think of their gun the same way I think of my chainsaw. A few years back, I used to occasionally teach the concealed carry permit class for North Carolina. 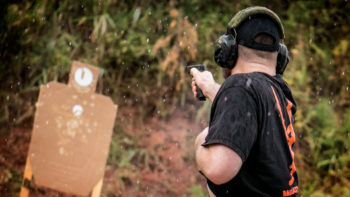 The state-mandated course outline required certain topics to be covered, including the traditional target shooting stances and the all-important handgun shooting fundamental of “breath control.” These are typical “handgun 101” subjects that may be useful for anyone who plans to pursue competitive slow fire pistol marksmanship. But I had people taking my class because they had recently been robbed and held at gunpoint and they wanted to be able to fight back if it ever happened again. I seriously doubt a primer on the great debate of Isosceles versus Weaver was a good use of the short eight hours I had with those students. Most of the issues I brought up in the above points are exacerbated by the fact that the firearms training industry has a huge problem with quality control. There is a large market for self-defense oriented gun training, though not as large as most people think. There is no widely-recognized sanctioning body for firearms instructors, so anyone who wants to call themselves an instructor may do so. So now we’ve got a market flooded with under-qualified “instructors” looking for an easy buck by offering to train the public in life-saving skills with deadly weapons. The money goes to those with the best marketing tactics. At best, unqualified instructors are well-meaning but ineffective and may inspire students to seek out someone better. At worst, they actively teach students to do things that are unsafe, unethical, and illegal. Even prospective students who are aware of the prevalence of snake oil salesmen in the training industry can have trouble locating and identifying quality instruction. Every week, I receive at least one message from someone asking if I know of any good instructors in their area. I try to help when I can, but this is another problem that I don’t have an easy answer for. I can tell you who some of the best instructors in the country are, and it’s usually easy to identify the worst of the worst. There’s a pretty huge gray area in between and it can be difficult to separate the wheat from the chaff when all you have to go on is a website with a two-paragraph bio. 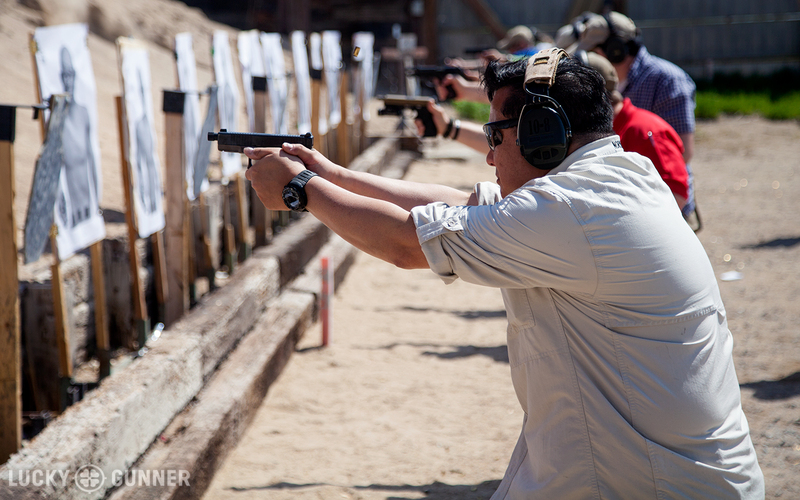 Some firearms training focuses solely on the mechanics of shooting. Others are shooting classes with an emphasis on using those skills in a defensive context. Either of those may be appropriate depending on the needs of the student. But the novice gun owner, whether they realize it or not, is usually looking for a class that will teach them both how to shoot and how to defend themselves; two separate skills that are only sometimes related. Instructors who may be qualified to coach students on their shooting skills are not necessarily well-informed on the broader issues of surviving a violent encounter. An effective self-defense course is not a shooting course with a couple of token words thrown in about “mindset” and “situational awareness.” Gun-handling and shooting may occupy the majority of the instruction time in a well-rounded class, but the student will also leave with an understanding of how the shooting skills they just learned fit into a broader strategy of self-defense. There may even be useful material covered that addresses how to identify and defuse a potential attack before it takes place, how to avoid being chosen as a victim, unarmed hand-to-hand skills, less lethal alternatives, or legal issues. I would not expect a one-day class to be a comprehensive survey of everything one needs to know in order to deal with violence, but a good introductory defensive shooting course goes beyond merely how to shoot. Among other things, it’s also when to shoot, when not to shoot, and how to safely handle and manage a deadly weapon in normal everyday life. 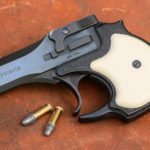 Ideally, every gun owner would have the ability and motivation to attend a well-rounded training class from a reputable instructor and follow it up with regular practice and periodic recurrent training. We know that’s not reality, and nothing I write here is going to change that. So I’ve got a project in the works that I hope will at least address one of the biggest needs out there: basic instruction on how to handle a firearm for absolute beginners. Over the new few weeks, I’m rolling out a series of videos and articles that will be targeted directly at the complete shooting novice. The posts will cover the kind of thing that experienced shooters often forget that people even need to be told about. Like how to tell whether the safety is on. I’ll have a separate post for each type of firearm (revolvers, semi-auto pistols, AR-15s, etc) and each installment will cover the basic rules of safe gun handling, how to load and unload the gun, and how to fire it.